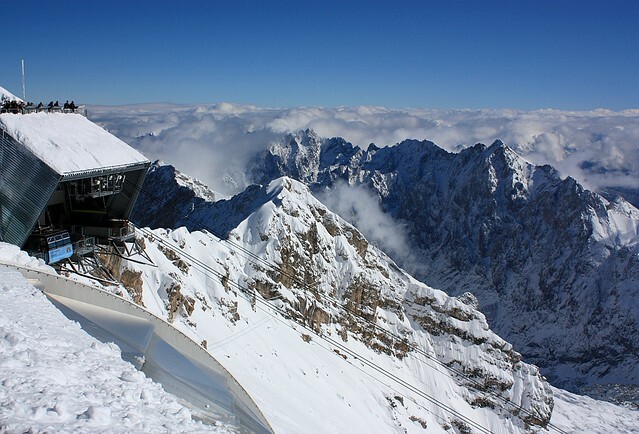 This is the final post in the series about visiting the Zugspitze summit, the highest point in Germany. Admiring the spectacular view from the Austrian side, I wandered slowly back to the German side of the mountain. You know how you want to soak in everything you see, afraid that it’ll slip away if you turn your head or close your eyes. 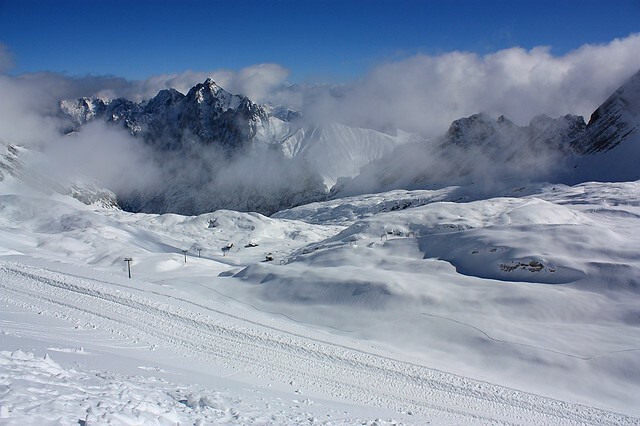 Fact: leaving behind a snow-covered landscape is a difficult thing to do. 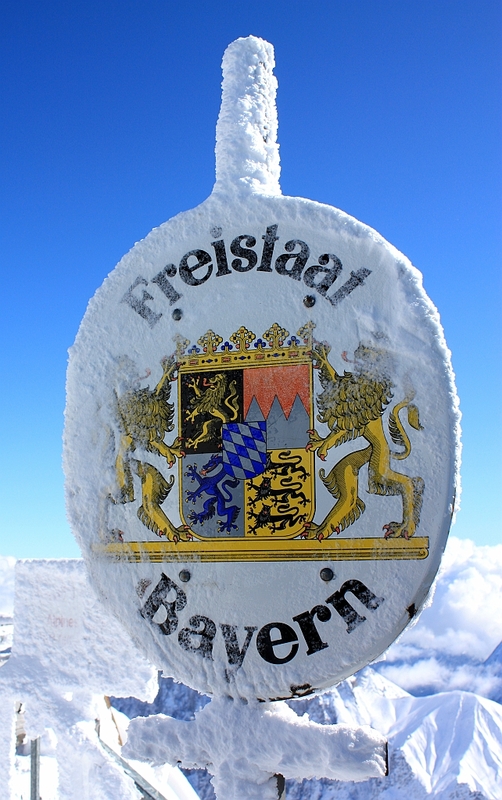 Welcome (back) to Bavaria, Germany. Clouds have cleared: Schneefernerkopf, Zugspitzplatt, Zugspitzeck. L-to-R: Hochwanner (2744 m), Kleinwanner (2548 m), Reintal, Hoher Kamm (2376 m), Gatterl, Hohe Munde (2662 m), Östlicher Gatterlkopf (2475 m). 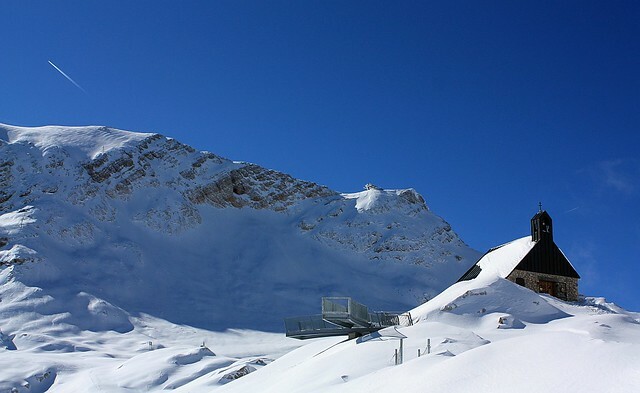 Bergstation Gletscherbahn – Upper station, glacier cable car. L-to-R: Gipfelkreuz (summit cross), Hochblasen (2707 m), Innere Höllentalspitze (2741 m), Jubiläumsgrat, Leut. 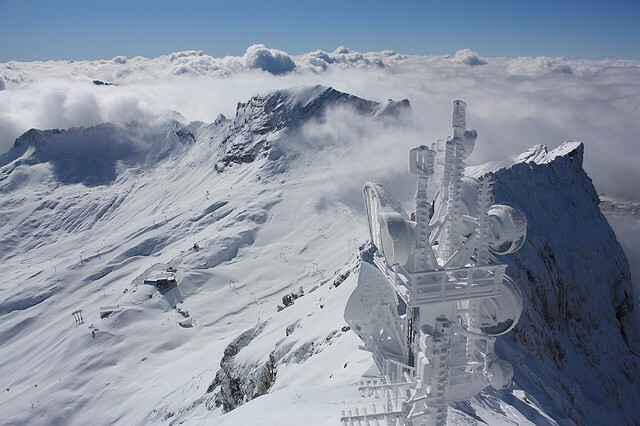 Dreitorspitze (2682 m), Oberreintalschrofen (2523 m), Hochwanner (2744 m). 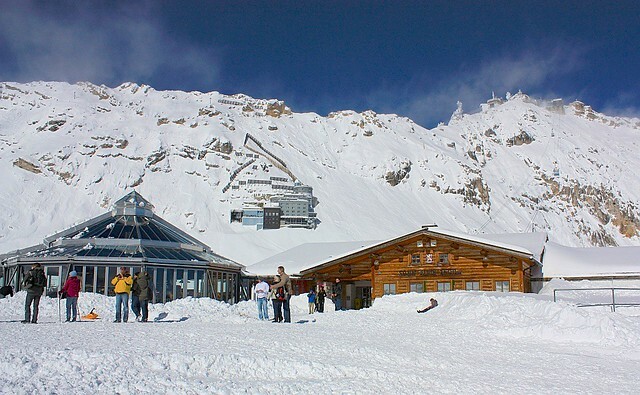 The Gletscherbahn cable car takes you down 300 metres (about 1000 feet) from the summit proper to Sonn Alpin at the Zugspitzplatt plateau “below”. It’s also at the plateau where I’ll take the cogwheel railway back into the valley to complete the daytrip. 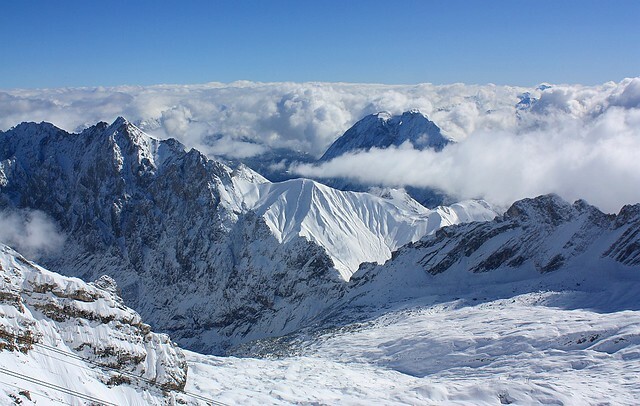 Sonn Alpin, Zugspitzplatt (plateau); the Zugspitze summit proper is at the upper right. Kirche Maria Heimsuchung, the highest church in the country. 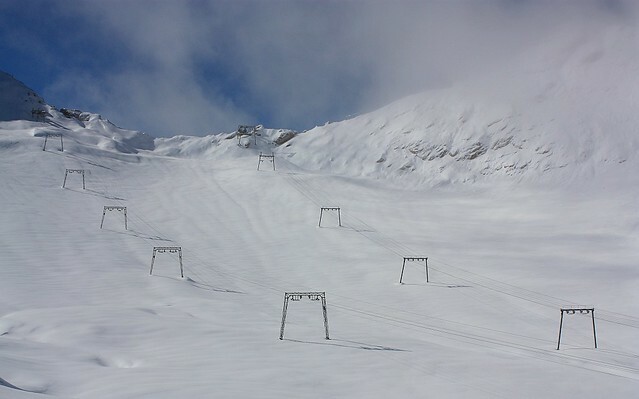 Sonnenklar and Weisses Tal ski-lifts. 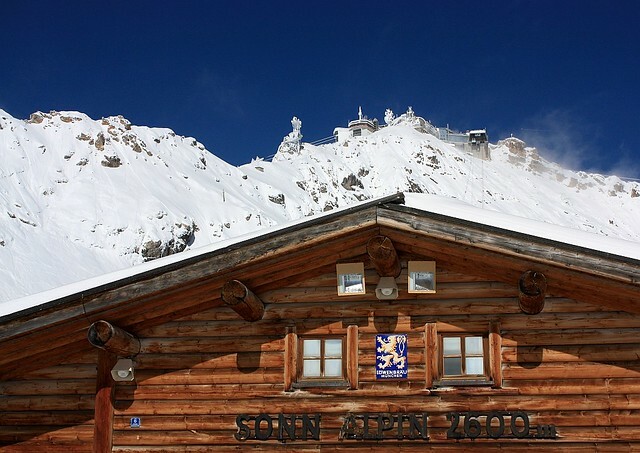 Sonn Alpin, with Gletscherbahn and Zugspitze summit in the background. With the final view from Sonn Alpin, it’s time to head back into town. 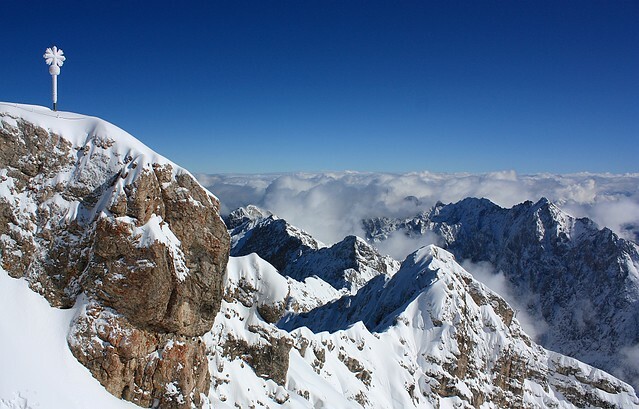 Thanks for following me on this trip up to Zugspitze! I made on 9 October 2011 the photos shown above. This post appears originally on Fotoeins Fotopress at fotoeins.com. Would you like wonton noodle soup? Yes, you do.